The brand that you establish for yourself as a writer is composed of many “moving parts.” Each of the individual elements of your author platform should directly contribute to the world’s overall view of you as a writer: who you are, what you write, what you want, and what you stand for. When all the elements of your outreach campaign coordinate to create a single, unified message, you’ll have an author brand that is memorable and effective for building fans and making sales. Check your cover art. Forget the old adage—readers will absolutely judge your book by its cover when they’re deciding what to buy. So what elements should you pay careful attention to when establishing your author brand through your cover artwork? Design tropes of your given genre: What are the tried-and-true images that work in your genre? Color scheme: What colors best convey the tone of your writing? Font: Will you choose something loud and modern? Or quiet and traditional? The emotional impact of your overall image: What is the emotional message your cover art needs to make in order to tell people what your writing is about? Design: Do your visual elements, like color scheme, font, and images, support the message of your author brand? Functionality: What do you want your website to accomplish? Transparency: Do you want your life to be an open book? Or are you more guarded? Your headshot, author bio, and social media integration will say a lot about you. Which social media site fits you best: Which will give you best access to your target audience? Which plays to your strengths? How regularly you use it: Will you post every day? Or once a week? How you present yourself via your pictures and posts: Learn more about creating your online persona. The setting: Do you want your portrait to appear in a gritty urban setting or in a pretty park? The lighting: Do you want lighting that’s dramatic? Or sunny and friendly? Your expression: Do you want to appear serious? Or friendly and approachable? You! 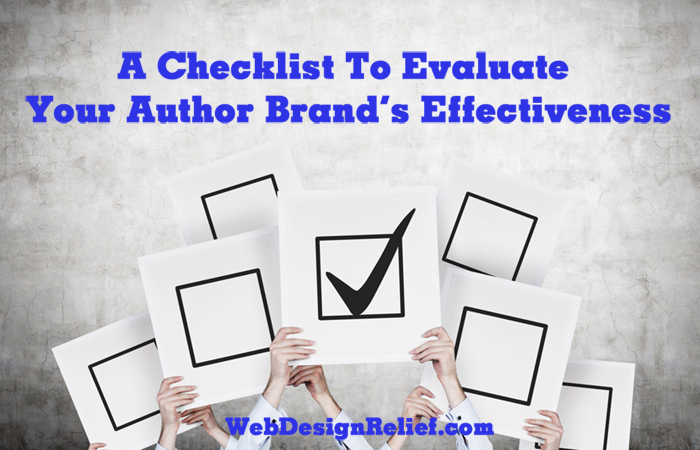 You are the wellspring of every element of your author brand. And if a feature of your branding doesn’t feel authentic, then we recommend swapping it for something that rings true to you. The best way to create a cohesive, effective writer brand is to make choices that are consistent with simply being yourself. QUESTION: What do you believe is the most important element of an author’s brand?